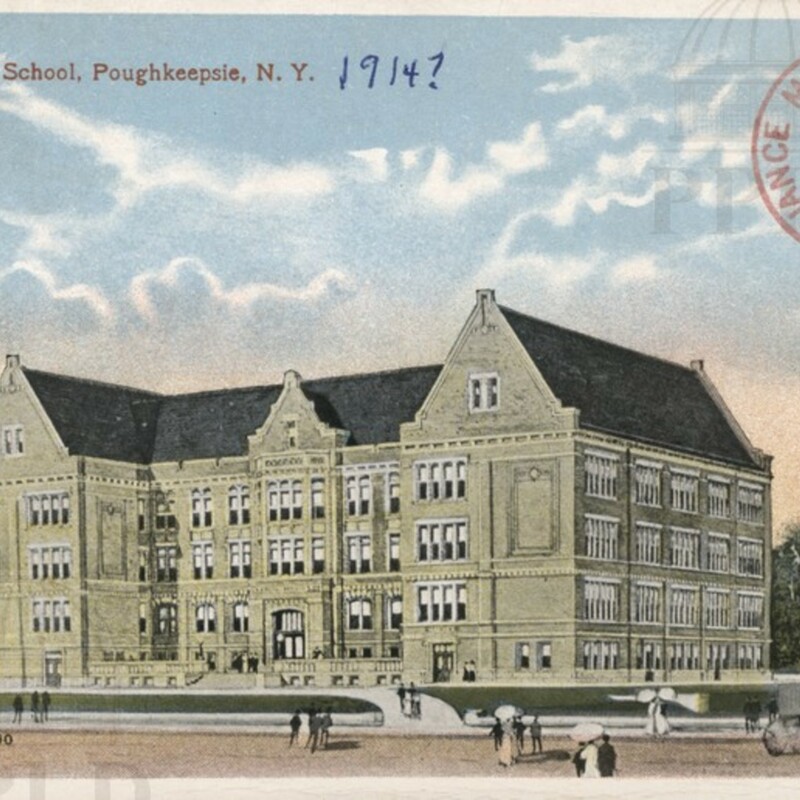 Color-tinted photograph of Poughkeepsie High School. 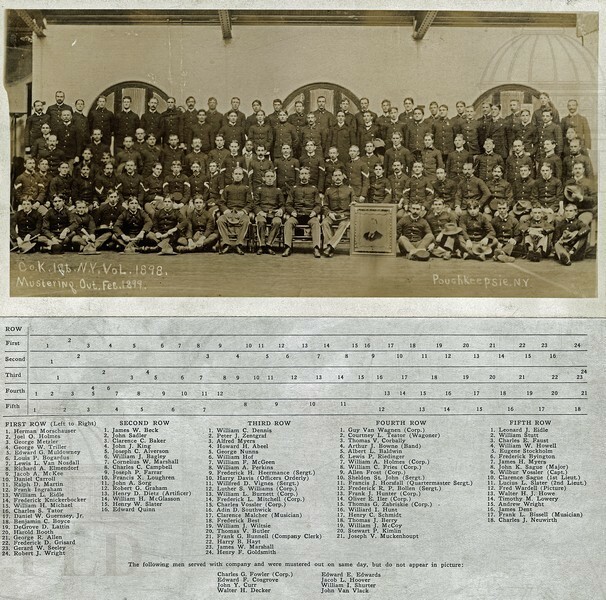 Part of an accordion fold souvenir set, with 838a-n. 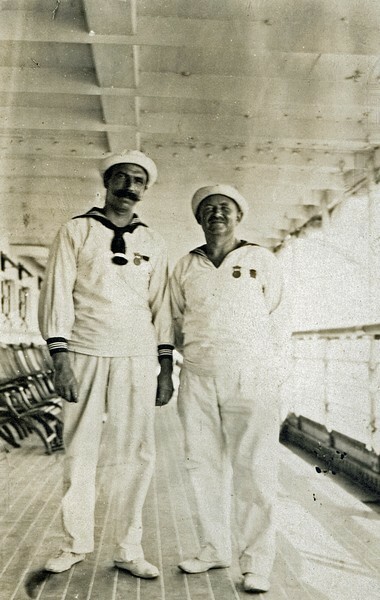 Sailors wearing their medals, given by British & American governments for saving lives on the burning "Voturno." 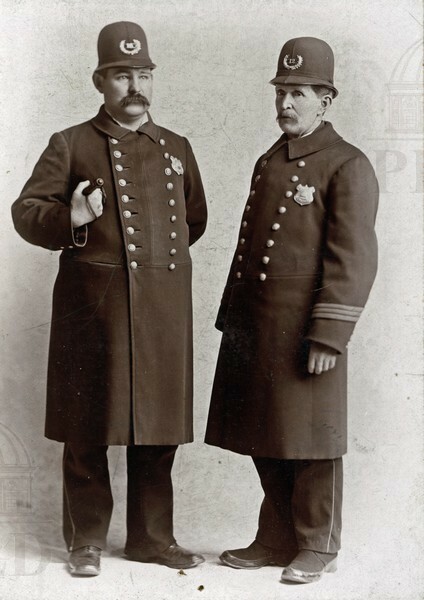 Herman Brandt on right. 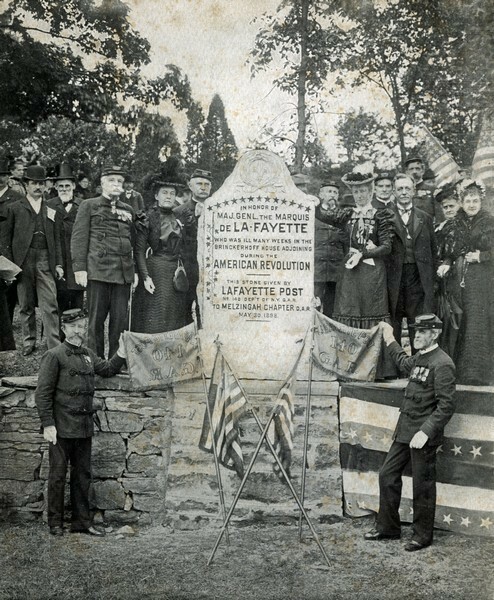 Dedication of memorial tablet to General Lafayette at Brinckerhoff. 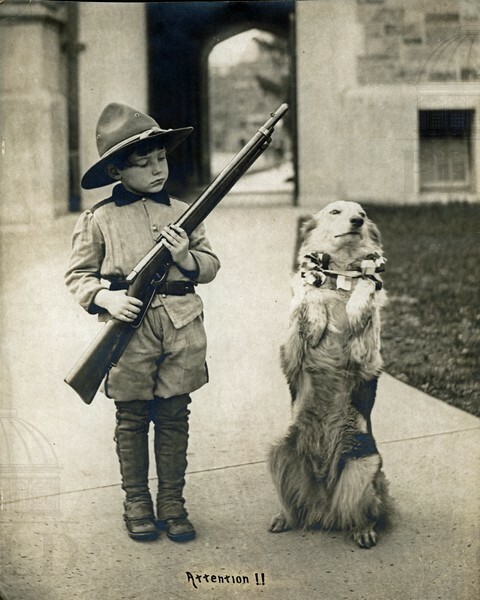 Boy in uniform & dog at the front gate of Vassar College. 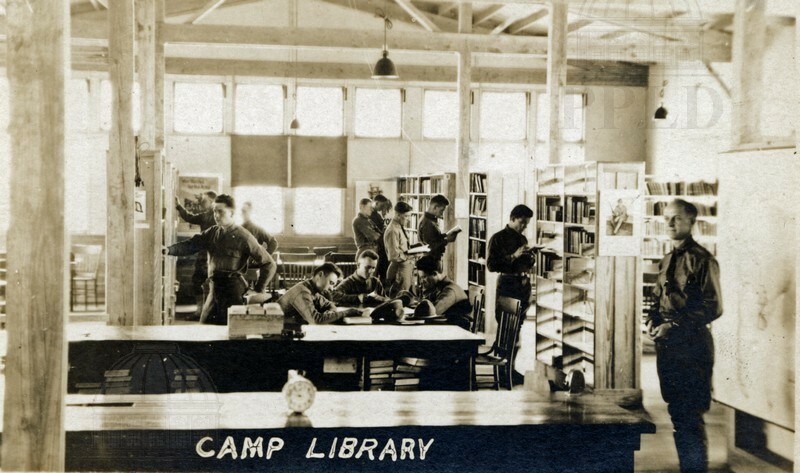 Interior view of camp library, with soldiers reading. 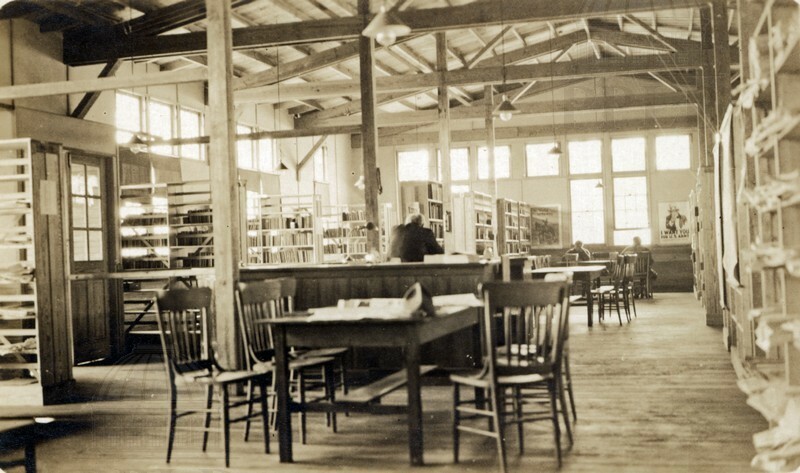 Interior view of camp library. 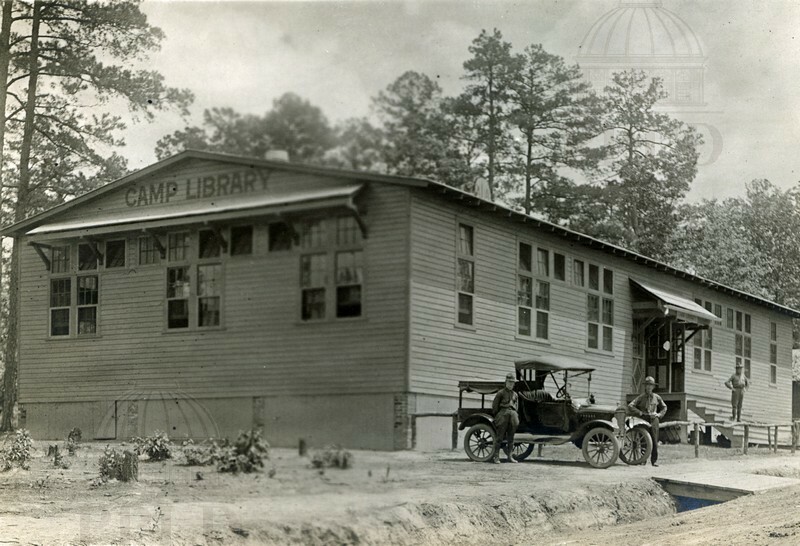 Exterior view of the camp library. 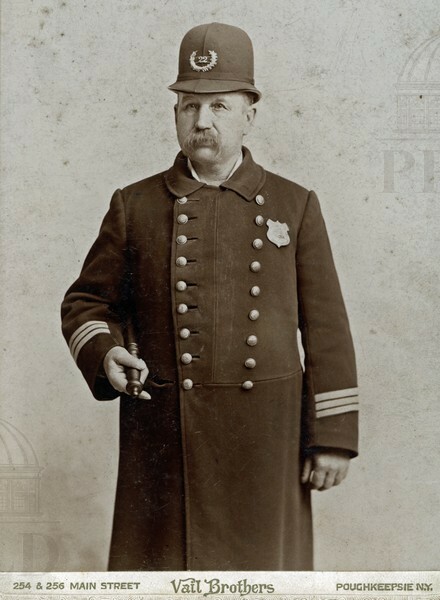 Sickley, John C.; Gallagher, T.A. 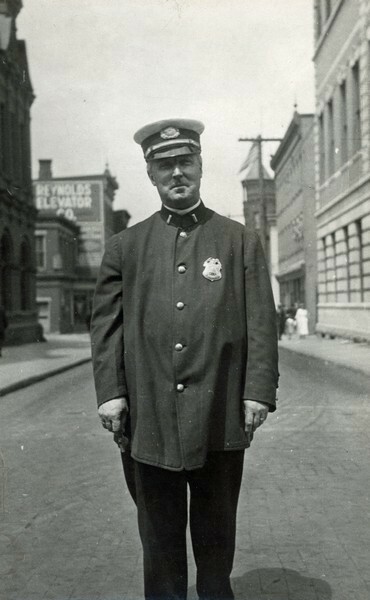 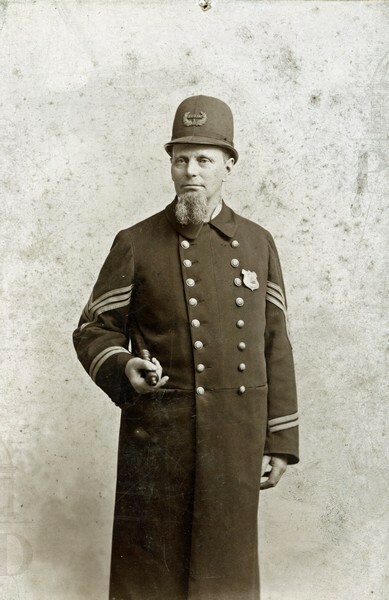 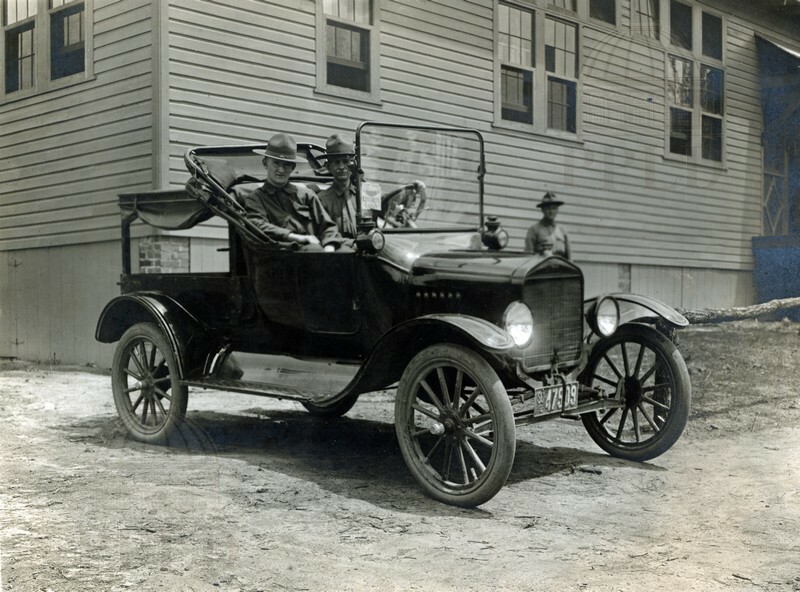 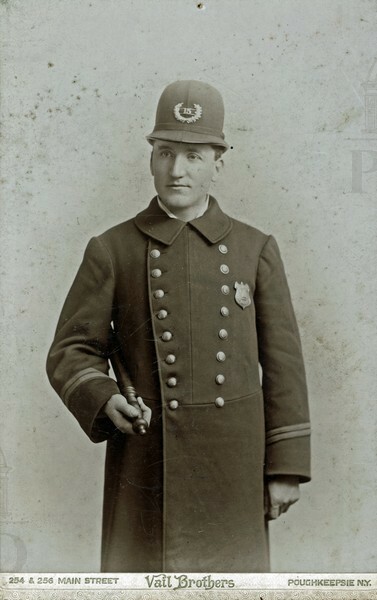 Driver: John C. Sickley. 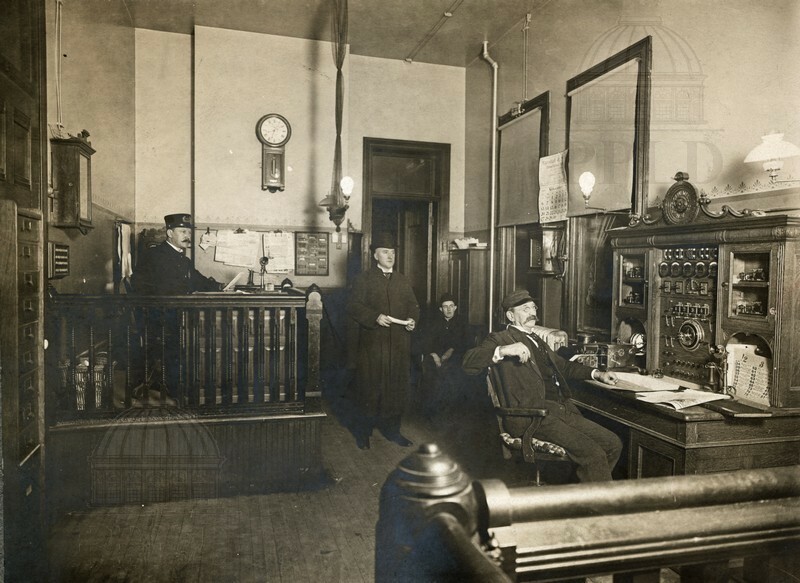 Passenger: T.A. 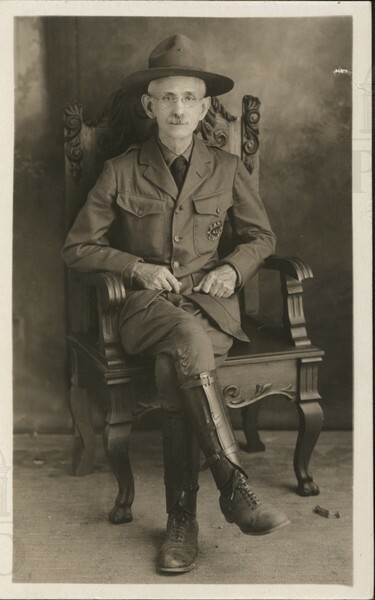 Gallagher, assistant camp librarian at Camp Wadsworth. 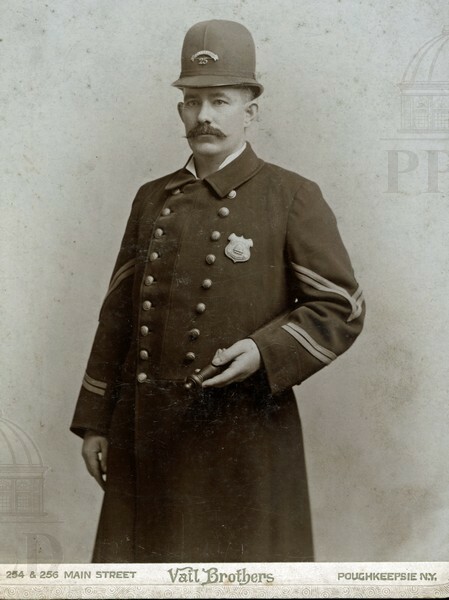 Portrait of John C. Sickley, Director of Adriance Memorial Library (PPLD): 1882-1920. 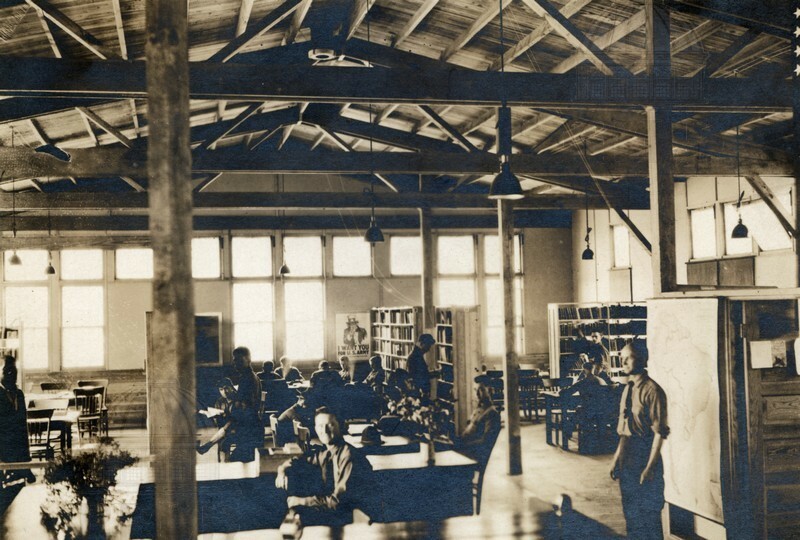 Pictured here in uniform at Camp Wadsworth, where he served as library director during the summer of 1918. 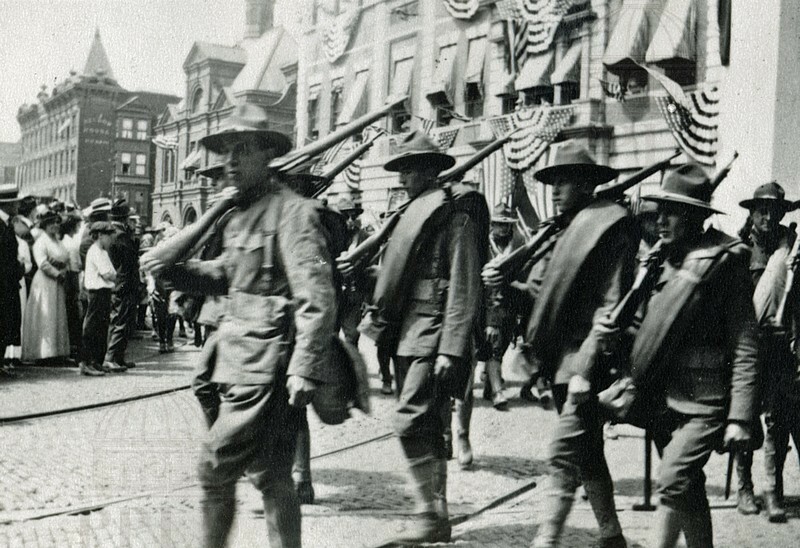 Soldiers marching in a parade down Main Street. 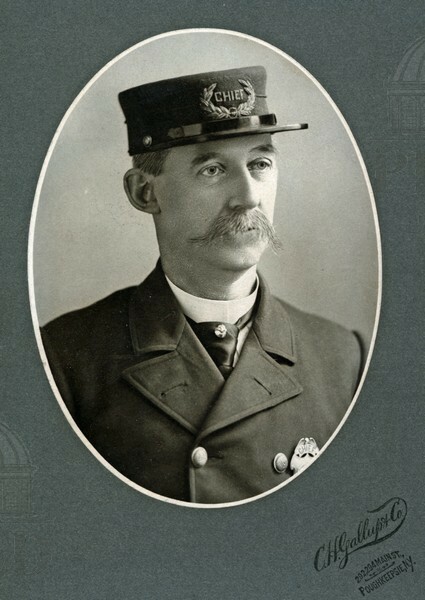 Pamphlet detailing the 5th Volunteer Infrantry. 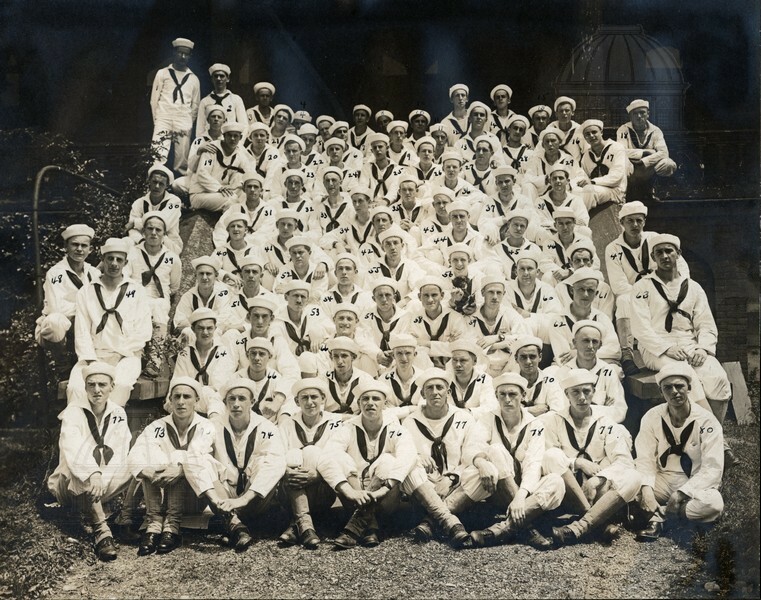 Monument to the 156th N.V.S.V.INF. 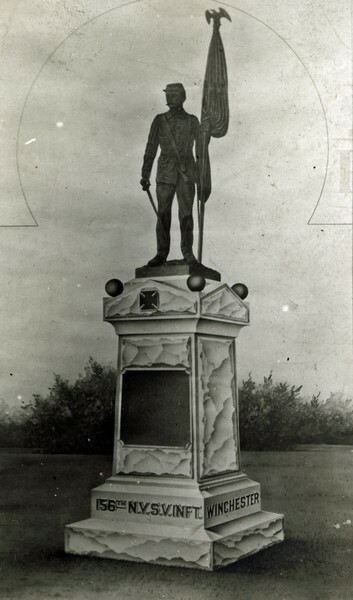 Illustration of the monument to the 156th New York Volunteer Infantry. 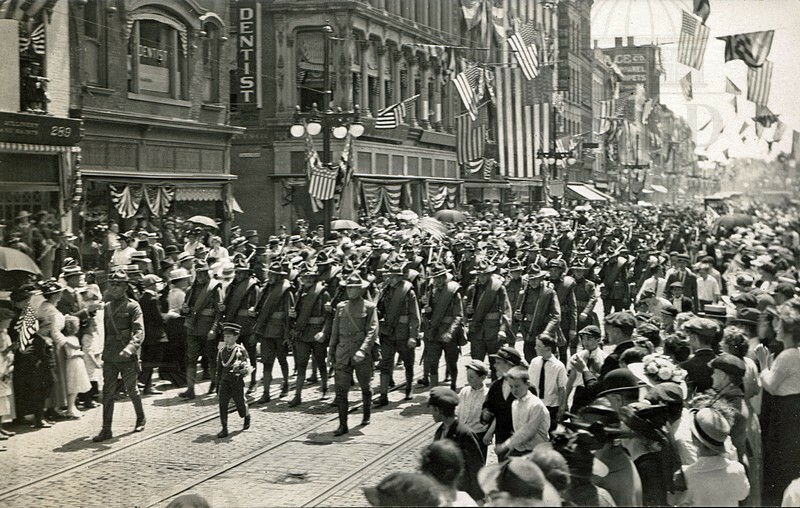 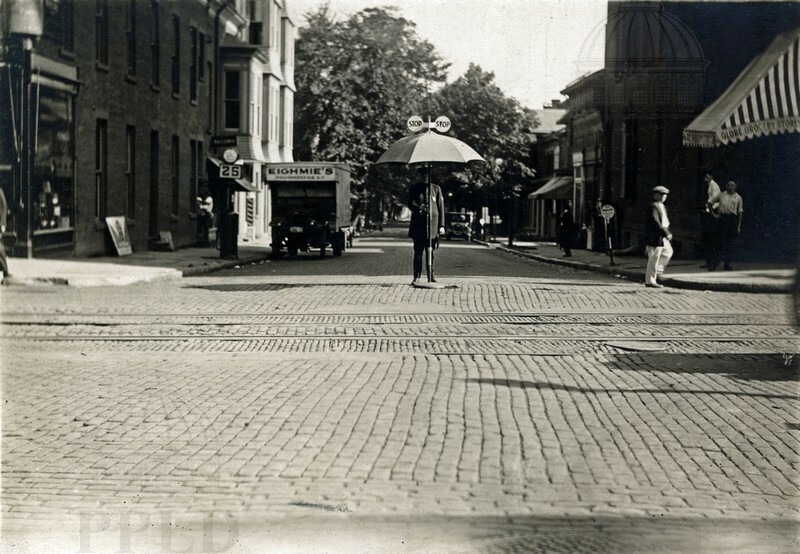 WWI soldiers parading on Main Street. 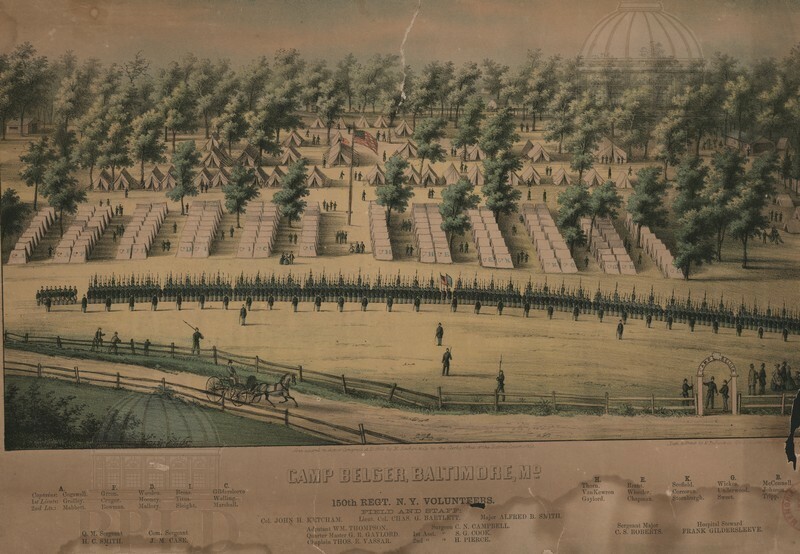 Watercolor of Camp Belger in Baltimore, MD: 150th Regiment NY Volunteers. 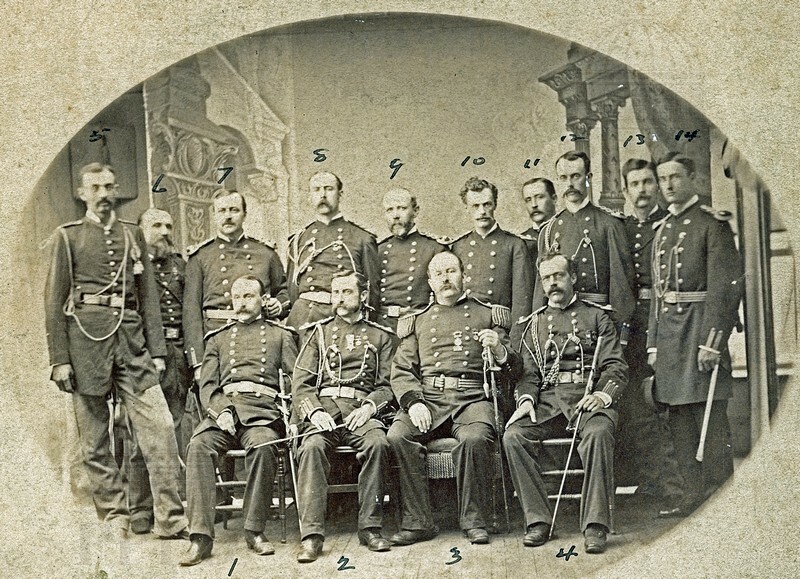 Group portrait of Civil War soldiers. 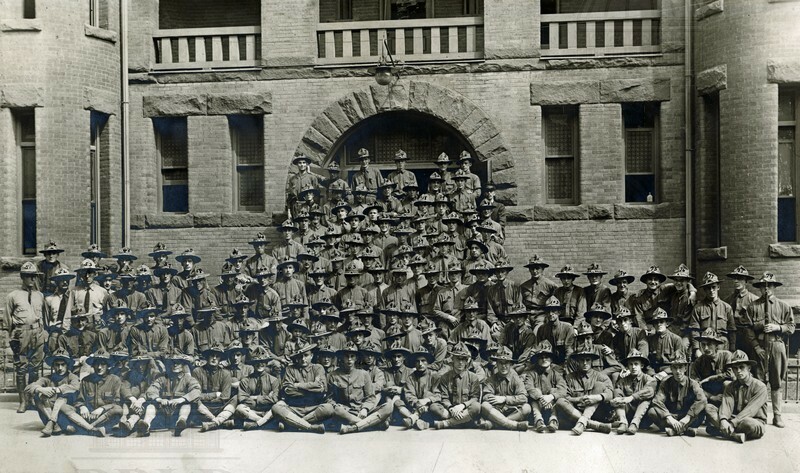 Group portrait of individuals mustering out in February of 1899. 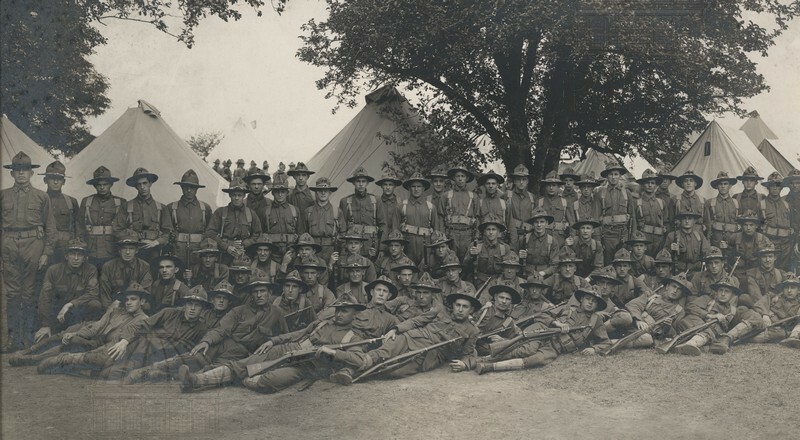 Group photo of the company at Camp Whitman, WWI camp in the hamlet of Green Haven in Beekman. 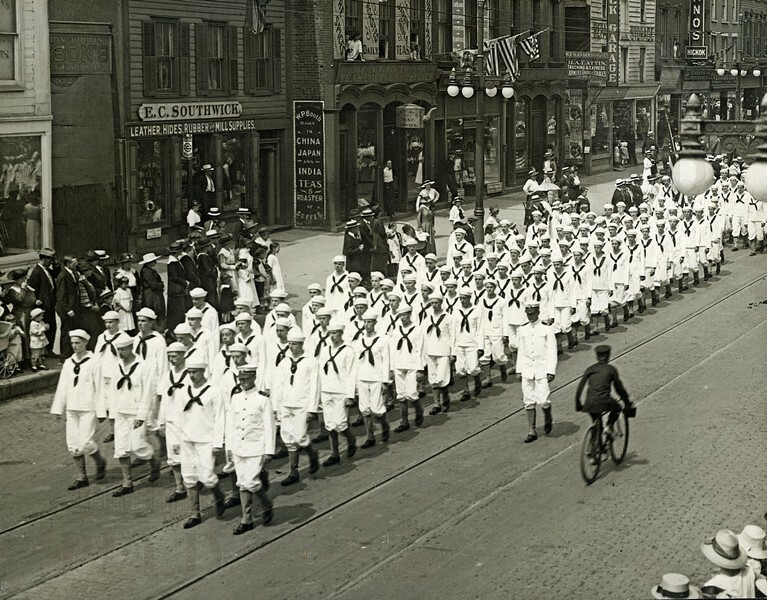 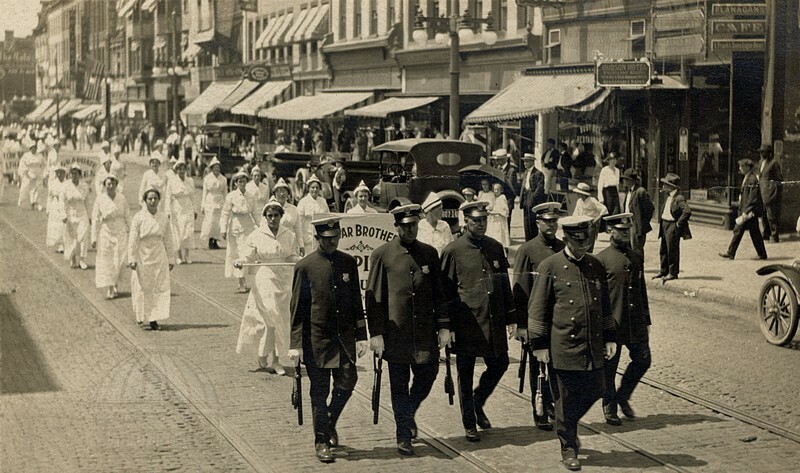 NY Naval Militia, Poughkeepsie Division, parading down Main Street.